Mbabane, founded in 1887, is the capital of the Kingdom of Swaziland. The city is situated in the Highveld, whose mountains, rocky hilltops, scattered boulders, grasslands and steep wooded valleys make the scenery one of the most spectacular ones in Southern Africa. The SOS Children's Village Mbabane is located about six kilometres away from the city centre, giving its inhabitants all the advantages of a nearby city like shops, markets, etc. 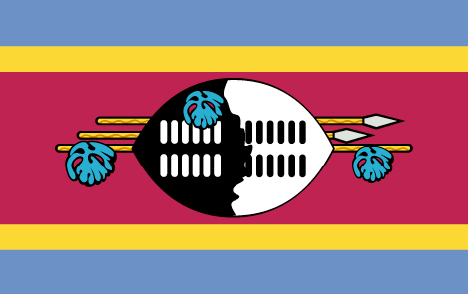 The official opening ceremony took place on 29 June 1990 in the presence of King Mswati III and numerous honorary guests. SOS Children's Village Mbabane comprises eleven family houses (with a capacity for up to 110 children), houses for the village director and the SOS aunts (who support the SOS mothers and take care of the children when the mothers are on leave), an administration and service area and a workshop. The adjoining SOS Kindergarten has four group rooms, a kitchen and a playground and can cater to up to 100 children. Both primary and secondary school education are offered at the SOS Hermann Gmeiner School in altogether 25 classrooms. A sports field, a library and a computer lab also belong to the SOS Hermann Gmeiner School. The primary school offers room for 600 pupils and the secondary school can take in up to 320 pupils. The SOS Youth Facility accommodates up to 40 youths who have already outgrown the SOS Children's Village during their vocational training or higher education, giving them the chance to prepare for an independent life. Up to forty patients per day can be treated at the four treatment rooms of the small clinic, which also accommodates an office for SASO, The Swaziland Aids Support Organisation. HIV/AIDS awareness and prevention campaigns are held regularly. The family strengthening programme provides families with access to essential services and helps building family resources. The offered services include food assistance, educational scholarships, literacy classes, renovation of shelters, individual and communal food production and other income generating activities.